Update: After using the Venue 11 Pro for a few weeks now, I’ve noticed that the fan doesn’t seem to spin up as much as it did initially. It’s possible that a BIOS update fixed the problem, or that the machine was performing startup tasks (installing apps, etc.) that were causing the fan to kick in more than usual. At this point, I’d say that your mileage will vary regarding fan noise—if you really push the tablet, like playing advanced games, running processor-intensive applications, and that sort of thing, then you might hear more from the fan than I have in casual use. Touch remains a real issue, however. Chrome really is unusable on the desktop, and even if it’s Chrome’s fault (and it might be; touch on the desktop overall hasn’t been as problematic), Chrome is important in how I use a Windows 8.1 tablet. And so, the Venue 11 Pro is going back, even though I recently receive the keyboard and the two make a nice combination (when the keyboard doesn’t randomly disconnect, of course, which is a topic for another post). I’ve been using the Dell Venue 8 Pro for a couple of months now, and have written about my experiences with it in a number of posts. Overall, I find the device pleasant to use, with my primary concern being the relative difficulty of working with the desktop on the Venue 8 Pro’s 8” screen. And so, I’ve been looking forward to receiving the Venue 11 Pro that I ordered from Costco back in December. It finally arrived this past Friday, and I’ve spent a few hours checking it out. Here are some very initial thoughts on the device, and unfortunately, most of what I have to say at this point isn’t terribly positive. Just Like the Venue 8 Pro, Only Bigger? My hope was that the Venue 11 Pro would offer everything the Venue 8 Pro offers, including a very nice screen, good build quality, decent enough performance, and good battery life, only with a bigger 10.8” screen. In some respects, that’s exactly what it is. The Venue 11 Pro’s screen is definitely nice and bright (when auto brightness isn’t too aggressive), build quality is equal to the Venue 8 Pro, and performance is good with the Core i5 4210Y processor and 4GB of RAM. On paper at least, that’s a significant improvement over the Venue 8 Pro’s Atom Bay Trail 3740 processor and 2GB of RAM. I haven’t had a chance to get a good feel for battery life, but so far I get the feeling that it’s not quite as good as the Venue 8 Pro, particularly on standby. The first thing that struck me about the Venue 11 Pro, however, and not in a good way, is just how loud the fan can be. There are vents along the top for intake and exhaust, and when performing moderately demanding tasks the fan quite often kicks in. Usually, it’s not too loud to use in a normal office environment, but late at night when my wife’s asleep beside me, the noise both bothers me worries me that it might wake her up. Sometimes, however, it kicks up a notch and becomes downright loud. The pitch is also uncomfortable, and I would be reluctant to take it into a meeting or a classroom. It’s that disruptive. I’d rank it as one of the louder fan noises I’ve had on a mobile device (i.e., full-size notebooks), and that’s bad news for a tablet. Let’s face it—people expect tablets, like smartphones, to be completely silent. Fans are unexpected, and when they’re this loud, the tablet becomes downright unusable. In addition, I’ve found touch to be less than reliable. Touch response is generally acceptable in modern Windows 8.1 apps, but the desktop is a mess. In particular, Chrome is almost unusable, and while that might be partly Google’s fault (Chrome won’t switch to full-screen mode on a high-res screen), the bottom line is that hitting links and closing tabs is an exercise in frustration. I’ve tried different resolution scaling, re-calibrating the touch screen, and everything else I can think of, but the bottom line is that using the desktop on the Venue 11 Pro is, at this point, pretty much unacceptable. Unfortunately, unless Dell very quickly releases some patches that improve thermal management and minimize fan use, along with improving touch sensitivity, I think the Venue 11 Pro will be going back to Costco. I really want to like the machine—it’s comfortable to use, the screen is excellent, and with better touch response the desktop would be more comfortable on the larger display. 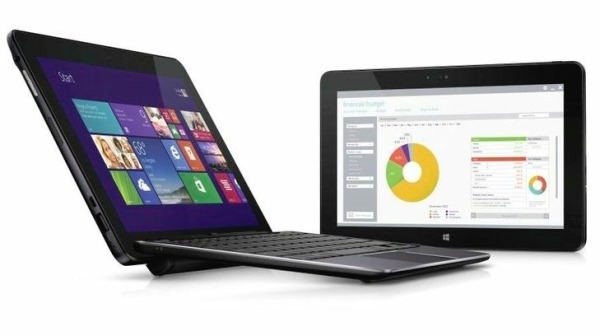 The keyboard dock I have on order would also turn the machine into a very nice hybrid tablet-ultrabook. But, the fan and the touch issues really set the device back. Note that only the Core i3 and i5 models have fans, and so the Bay Trail version would be preferable in this respect. I can’t even say that the Venue 11 Pro’s performance seems so much better than the Venue 8 Pro’s that the Core i5 is worth it (and it’s also a bit thicker). If the fans were the only issue, I’d be more than willing to give the Venue 11 Pro Bay Trail version a try. I’m going to keep working with the Venue 11 Pro, and post some videos and perhaps a more in-depth review, over the next few weeks. And I’ll contact Dell to see if they have any plans to improve what needs improving. But once I get the keyboard dock and have a chance to report on how the Venue 11 Pro works as an ultrabook, I’ll probably be returning it. 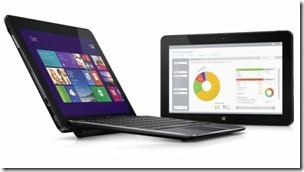 If so, I’ll likely keep using the Venue 8 Pro as my Windows 8.1 tablet. I’m finding it more pleasant to use than the Venue 11 Pro, even in desktop mode on the smaller screen. The fact is, it’s easier to use the desktop on the Venue 8 Pro simply because touch sensitivity is so much better. Things are tiny, but they’re still more accessible. Go figure. So, Dell, if you’re listening, how about getting some fixes out the door? You’ll have a winner on your hands if you do, but at this point you’ve got something of a dog. Just so you know. I have an 11 pro with i5 processor and had a real problem with the touch. I did find however that there are firmware updates and a keyboard fix available in the downloads/drivers section on the Dell website. This fixed most if not all the touch trouble I was having with the device. Very rarely will I have a problem with it and if I do it is only for just a moment like once in three or four weeks. Not really too bad. Great to know, thanks! I did return the Venue 11 Pro, but it’s good to know that Dell resolved the issue. Other than that, I found it to be an excellent device. 1. too loud for a Tablet. There are no Notebooks with that sound for years. So its not only having a noisy “business” Tablet. Because of CPU Throttling its a noisy and slow Tablet. They should use a better Fan, better heat piping or add a Fan to the dock.